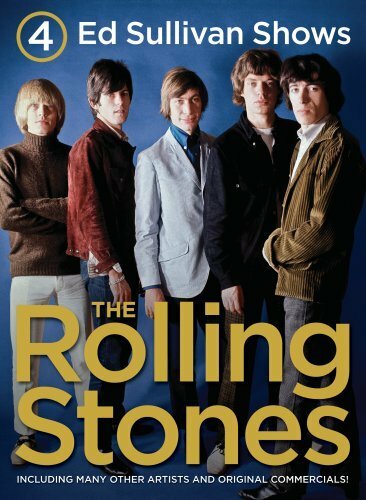 *	The Rolling Stones making their triumphant return to the Ed Sullivan stage on May 2, 1965, performing an early original composition by Mick Jagger and Keith Richards -- the Top 10 hit "The Last Time"; a rendition of the Willie Dixon blues classic "Little Red Rooster"; a cover of Solomon Burke's "Everybody Needs Somebody To Love"; and closing out the show -- the rarely performed instrumental homage to Chess Records, "2120 South Michigan Avenue." *	Their February 13, 1966, Ed Sullivan Show appearance, presented in gorgeous CBS color, performing their No. 1 smash hit "(I Can't Get No) Satisfaction" against a backdrop of screaming fans and a touching rendition of their hit "As Tears Go By." Performed as a duet, the song features the vocals of Mick Jagger and the soft chords of Keith Richards' acoustic guitar. They end this Sullivan appearance with their newest hit, the manic "19th Nervous Breakdown." *	The Rolling Stones returning to the Ed Sullivan stage on September 11,1966, after being chased by a mob of fans down Broadway following the dress rehearsal, with a unique performance of their No. 1 hit "Paint It, Black" with Brian Jones sitting and playing the signature riff on his sitar; their hit "Lady Jane," featuring Jones on dulcimer, and the band showcases their versatility by closing the show with their smash Top 10 hit "Have You Seen Your Mother, Baby, Standing In The Shadows?" *	The Rolling Stones final appearance on the Ed Sullivan stage with founding member Brian Jones was on January 15, 1967, performing their No. 1 hit "Ruby Tuesday" which was followed by their now historic version of "Let's Spend The Night Together" with the lyrics changed to "Let's Spend Some Time Together" by CBS network's standards and practices department. This was a memorable moment in the annals of TV censorship. In true Stones' fashion, the chorus is defiantly delivered with a sarcastic roll of Mick Jagger's eyes as he looks into the camera and lets the audience at home know he's fully aware of the absurdity of the situation. *	Tom Jones singing "Watcha Gonna Do When Your Baby Leaves You." *	The legendary Louis Armstrong performing "Cabaret." *	Petula Clark giving us "Elusive Butterfly" and "Color My World." *	The Rolling Stones' very first appearance on October 25, 1964, includes their Top 10 hit, "Time Is On My Side." 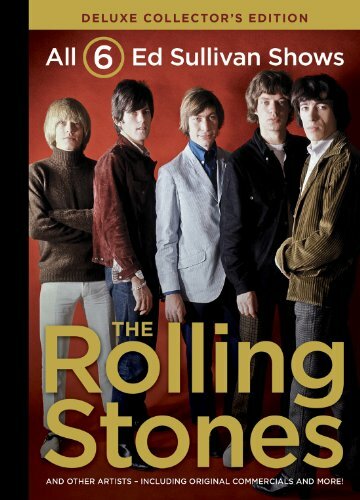 This show captures the excitement and hysteria of their fans in the Sullivan Theater as they nearly drown out The Rolling Stones' performances. The screams lasted throughout the entire performance, continuing after they finish and the curtain has dropped with Sullivan's futile attempts to calm the crazed teenage crowd as he tries to communicate a few words to Mick. *	Their November 23, 1969, appearance which marked their final appearance on The Ed Sullivan Show where the band introduced their newest member, guitarist Mick Taylor, who replaced Brian Jones. Jones who had left the band was soon thereafter found dead in his swimming pool. The Stones performed "Gimme Shelter," a song that summed up the tumultuous period of the late '60s; the Robert Johnson blues classic, "Love In Vain" and their latest No. 1 hit, "Honky Tonk Women." The Ed Sullivan Show changed the landscape of American television and music history. Sullivan's stage was home to the most iconic performances by groundbreaking artists, bringing families together every Sunday evening. It is the longest-running primetime variety show in American TV history and an institution in pop culture. Andrew Solt, executive producer of these releases and founder of SOFA Entertainment, also produced "25 x 5: The Continuing Adventures of The Rolling Stones," documenting the band's phenomenal first 25 years from their earliest days performing in clubs around London through their "Steel Wheels" tour (1989-1990). For more info go to: The Official Ed Sullivan Show Website.